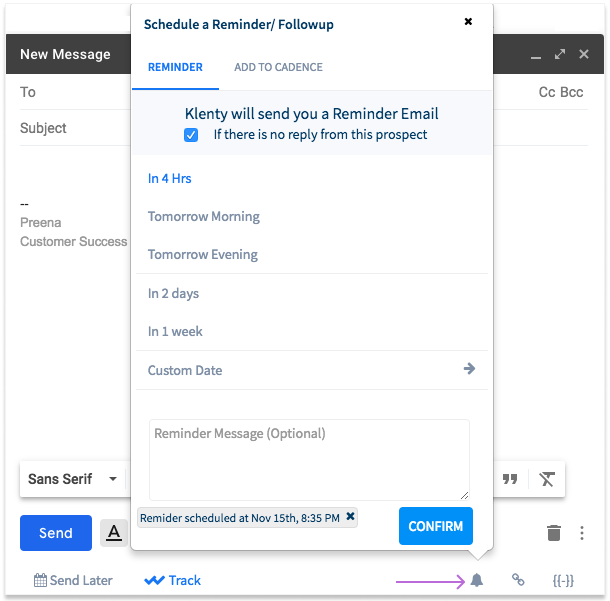 The Klenty Chrome extension can be used within Gmail to perform a number of activities that don’t require you to log in to Klenty. Use the Chrome extension to track emails. When you hit Compose, the Klenty options show up at the bottom of the window. 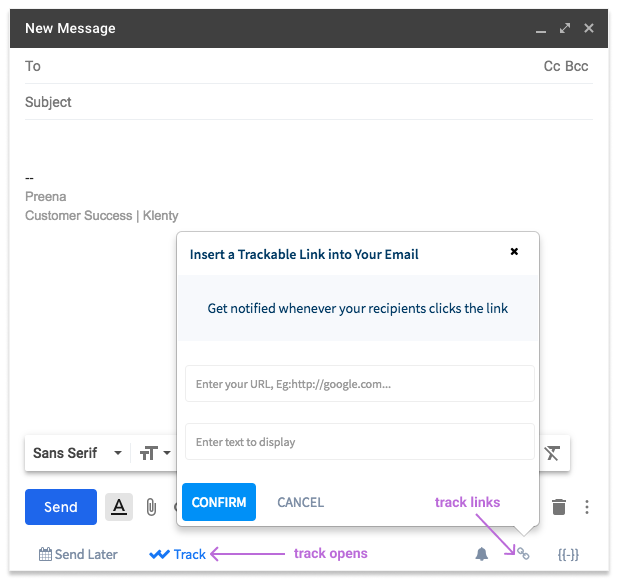 Enabling the Track option will allow Klenty to track when the email is opened or replied to. Click on the Insert trackable link to add a link that you’d like Klenty to track. You can find the engagement for this email in your Klenty account by going to Mails -> Sent Items. 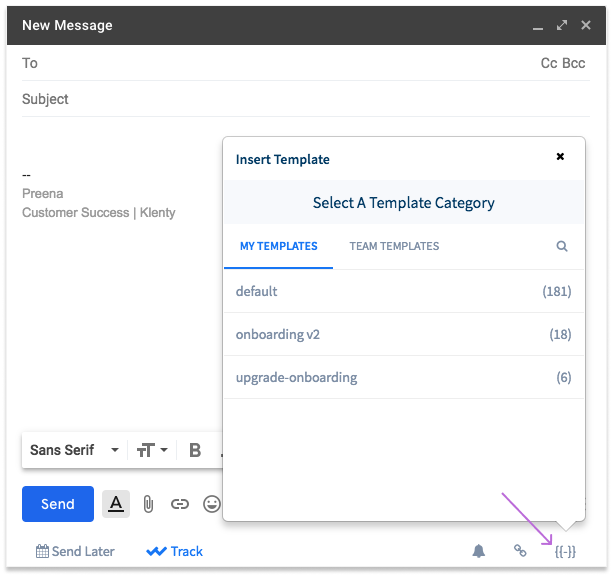 Click on the Templates icon to insert a template that you have created in Klenty. Click on the Reminders/Cadences icon to send yourself a reminder email. 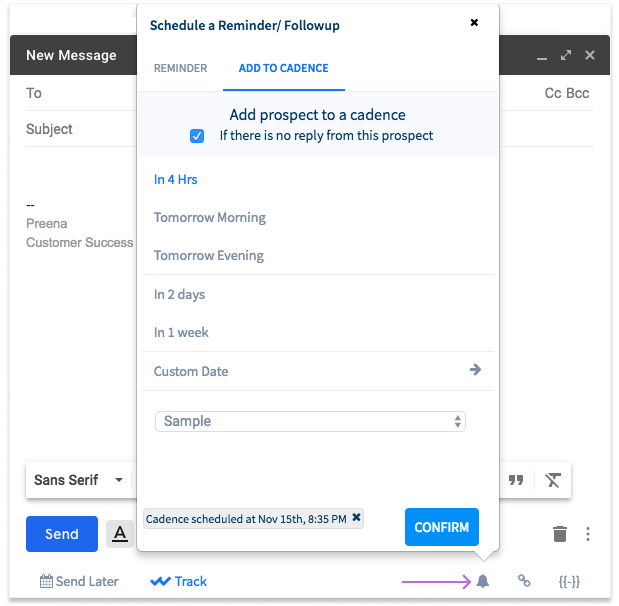 Click on the Reminders/Cadences icon to add the prospect to a cadence if there is no reply.